We are a very familiar, small hotel located directly at the coast of the Red Sea in Dahab . Here you can enjoy your holiday while relaxing in our Bedouin Restaurant by the beach or take a sunbath on our roof terrace. Our individual operating dive center offers daily guided dives, PADI Courses, Camel Dive Safaris, night dives and much more. Ask the Bedouin family further for a short safari into Sinai's amazing nature.Like this you will get a deep insight into the Bedouin's life and culture. depends on weather conditions & diver’s requests). The divers get divided in different and small dive groups (max. 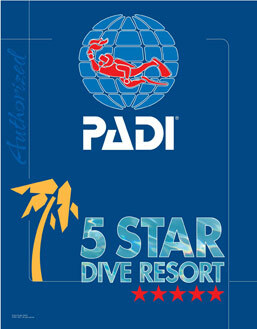 6 pax) – according to their dive skills & interests. Bedouin Divers are working with 12 liters / 200 bar aluminum tanks, offering either DIN or INT fitting. Sorry, till now no regular Nitrox fillings are available, but on request EAN 32 could be supplied. In case you don’t bring your own full dive gear with you, you are welcome to rent each missing part - from mask to wet suit at the spot - expect diving computers. Why should you stop at the Bedouin lodge for that special dinner or just that special type of socializing on Bedouin cushions, so much better than sitting on hard chairs?